Sometimes it seems the country was made to boost health and wellness. There’s great wisdom in Greece’s rural communities – wisdom that we can all draw on to help us live healthier, happier and more fulfilling lives. This isn’t just a hopeful notion; it’s a scientifically proven fact. A diet rich in vegetables, pulses, grains and olive oil; an active lifestyle with daily moderate exercise; low overall stress levels; close relationships with friends and family; being an active part of a tight-knit community – these aren’t just the secrets to happiness, they’re the key to longevity and good health as well. Happily, today many young people are rediscovering the benefits of this alternative approach and are helping to revitalize the countryside. 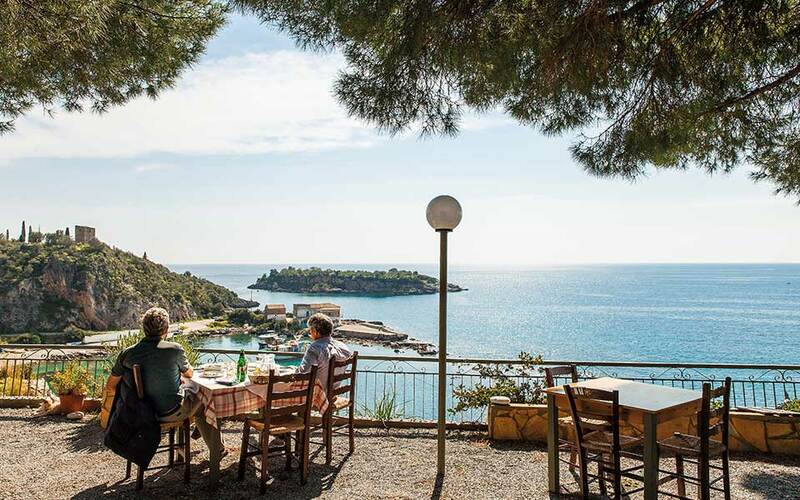 Visitors, too, can experience this way of life at guesthouses, agritourism centers and wellness retreats across Greece. 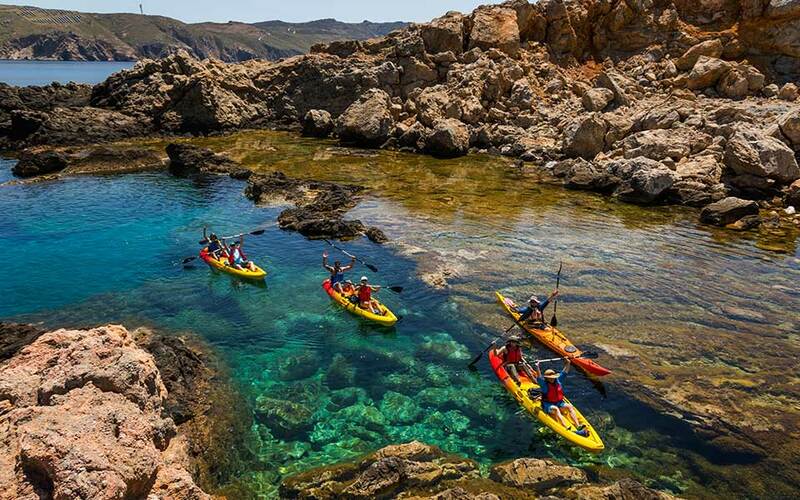 What truly sets Greece apart is its natural diversity. Formed by the collision of the African and Eurasian continental plates and bathed by the warm waters of the Mediterranean in a temperate, subtropical zone, the country is a dazzling range of ecosystems with perhaps the world’s best climate. This is a land where you can go from snow-capped mountain peaks to balmy beaches in an hour, and experience all four seasons in a single day. 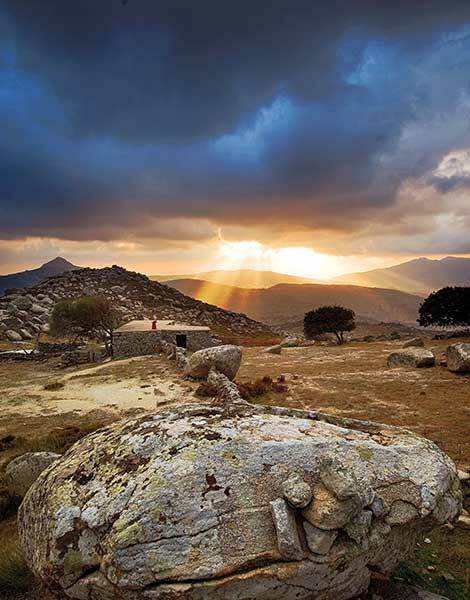 Abundant sunshine is central to every summer stay in Greece, and the great benefit of this bountiful sunlight to human health and happiness (of course, excessive exposure is to be avoided) has been well known here since antiquity. That’s why Apollo, the god of light, who was born on the island of Delos in the heart of the Aegean, was also celebrated as a healer. Today, the critical role of natural light in human health and wellbeing has been scientifically proven. Among other benefits, the sun helps synthesize vitamin D, which is important for building bone strength and combating osteoporosis, while all the smiles you see on Greece’s endless beaches from May to October are proof enough of its mood-enhancing properties. 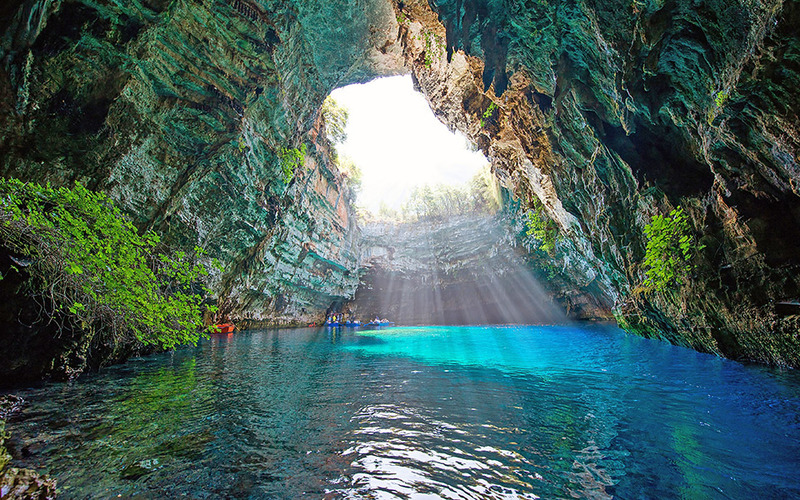 What’s more, while similarly high levels of summer sunshine result in sweltering temperatures in other parts of the world, in Greece the heat is tempered by lower levels of humidity and the cooling “meltemi” winds, and respite is usually close by – either in the cooler mountains, or in the refreshing blue sea. There was a time, not too long ago, when a group of intrepid hikers heading into the Greek hinterland would be met with bemused looks from the locals. Having walked these steep slopes all their lives, shepherds and farmers couldn’t understand why others would want to climb them for fun. Today, however, across Greece, local communities understand the appeal that vacation activities hold for foreign visitors. In mountainous regions in particular, guesthouses and adventure tourism companies offer exciting ways in which tourists can engage with nature. There are world-class destinations for hiking, rock climbing, mountaineering, mountain biking and even white-water rafting. 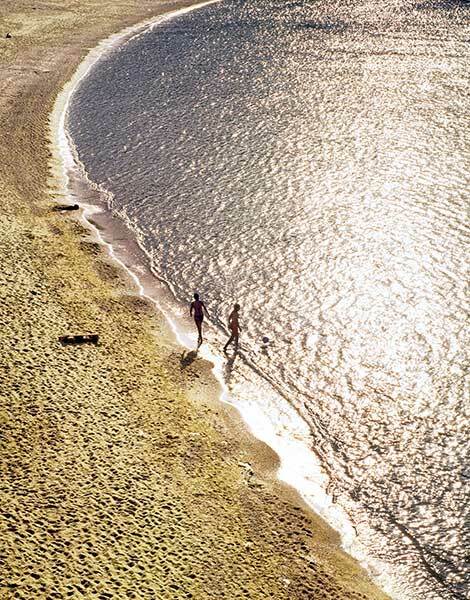 Meanwhile, many islands have upgraded and expanded their hiking trails, while others host open sporting events such as mini-marathons and triathlons in the cooler months, making them great off-season destinations, too. And there’s always the welcoming sea, that infinite playground for sports like sailing, windsurfing, kitesurfing and kayaking. Thousands of years ago, Greeks realized the curative benefits of hot and mineral springs, of salts and iodine-rich seawater, and of therapies involving the inhalation, imbibing or bodily application of herbal and flower essences. Today, with state-of-the-art facilities, high-tech equipment, modern practices and radical new scientific products, spa and thalassotherapy centers around the country are taking wellness treatments to new levels, offering their guests highly sophisticated services. A prime example is the award-winning Anazoe Spa at Costa Navarino, where the health principles of classical Greece, inspired by the likes of the physician Hippocrates and by ancient inscriptions found at the nearby Palace of Nestor, remain the basis for even the most progressive treatments, holistically and harmoniously joining the old with the new. 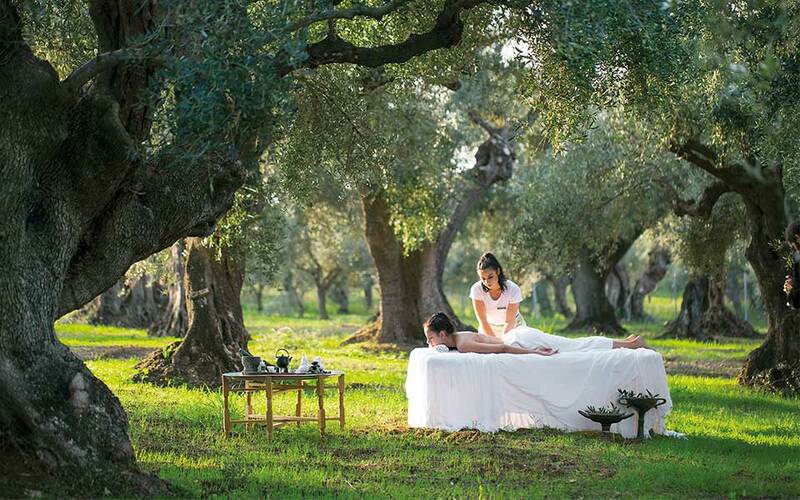 Centuries-old olive groves provide not only the extra virgin olive oil, the basis of the signature Oleotherapy treatments, but also the ideal setting to enjoy a rejuvenating massage. If you prefer a roof over your head to birdsong and sea breezes, the luxurious 4,000 sq.m. Anazoe facilities, including one of the biggest thalassotherapy complexes in Greece, will cater to your every desire.